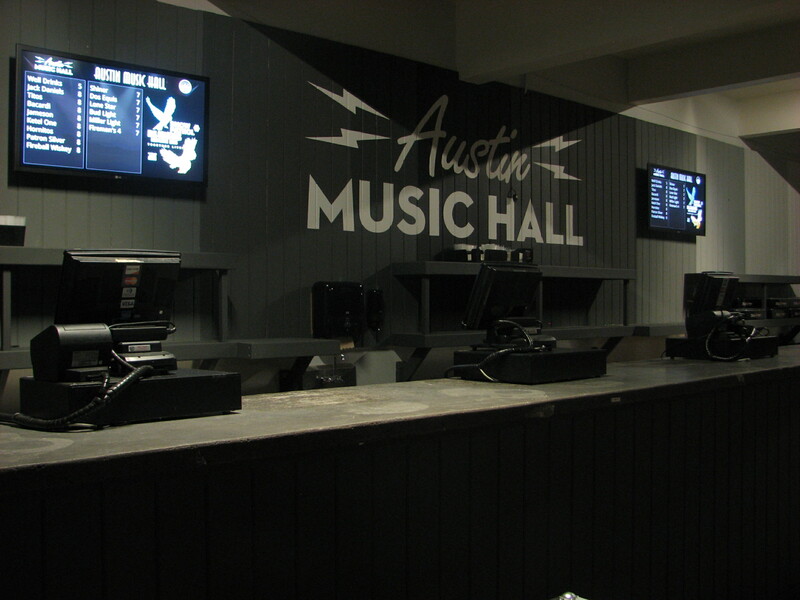 OSM Solutions, LLC designed a 4-panel digital signage system for Austin Music Hall. Three signs provide bar menus and one sign is dedicated to promotional concert posters & a Twitter feed. “We’re thrilled to have this cutting edge technology at our fingertips, so that we can easily update the signs for every event here at Austin Music Hall”, says Jason Friday, Vice President- CRE Administrator, OmniBank, NA. The 4 digital signs at Austin Music Hall feature the newest LG LED commercial monitors coupled with BrightSign media networked controllers. “This system provides the best of both worlds, top-quality commercial products and the ease of content management with Menuboard Manager“, says Marc Rosenberg, CEO of OSM Solutions, LLC. “We’re thrilled to provide signage for Austin Music Hall, here in our home town”. OSM Solutions, LLC has been providing digital signage since 2007. Menuboard Manager is OSM Solution’s web-based content management system, which enables end users to easily manage content on their signage using any web browser, including mobile browsers (iOS, Android, Windows mobile). OSM Solutions, LLC is located in Austin, TX and provides signage all over the world. For more information, please call (512) 591-8881 or send us an email.